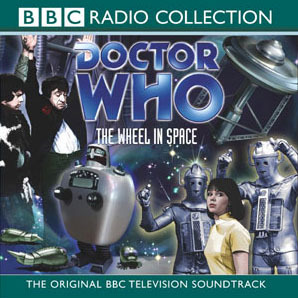 Patrick Troughton’s Doctor once more confronts the Cybermen in this exclusive recording of a ‘lost’ television adventure, with linking narration by Wendy Padbury. Taking drastic measures to escape a TARDIS malfunction, the Doctor and Jamie arrive on a rocket, apparently deserted in space, and soon encounter its aggressive robot guard. When a blow to the head then renders the Doctor unconscious, Jamie’s only hope of rescue lies in contacting the Wheel space station which is orbiting nearby. In fact the rocket has other occupants, who are sending out mysterious egg-like spheres to penetrate the Wheel’s outer surface. What dangerous cargo do the spheres bring to the human crew Of The Wheel, and what is the intention of those who are sending them? This six-part adventure, first broadcast on BBC1 in 1968, features the debut Of The Doctor’s companion Zoe, played by the soundtrack’s narrator Wendy Padbury.